At the end of April, I finished several stellar audiobooks and couldn't decide what to listen to next. As I was scrolling through my Audible account, A Court of Wings and Ruin caught my eye. I decided to embrace my re-read mood! With only a few days before the release of the follow-up novella, I figured there was no way I'd finish all 25 hours in time. Well, I was WRONG. I listened to the whole book in a day and a half and loved every minute of it. And the best part? My notoriously bad memory needed that refresher on how everything ended. So, I picked up A Court of Frost and Starlight with so much excitement. I'd been looking forward to it from the moment I'd first heard about it, though I was a little sad to learn it wasn't a full-length novel. But I'll never turn down more time with the Inner Circle! I knew it was meant to bridge the time between the end of the ACOTAR trilogy and the start of the upcoming spin-off trilogy. But I had no idea what that might entail! The focus of the book is on Rhysand, Feyre, and their friends and family as the Winter Solstice approaches. There's a fun, festive atmosphere that pervades the book, even though everyone is still emotionally reeling from the war. If you're looking for holiday shopping and cold weather feels, you've come to the right place! There are hilarious moments involving decorating and centuries-old traditions, but there are also heavy moments of grief and anger. These characters have experienced something traumatic, and each one responds differently. This book has unexpected friendships and growing distance between people who are clearly MADE FOR EACH OTHER. I loved the camaraderie between most of the characters, and my heart broke over the barriers that still exist between some of them. My poor babies just need to talk it out and let go of their baggage. And I think the reason I loved this book so much is because I'm so invested in these characters. I'm here for whatever's next! 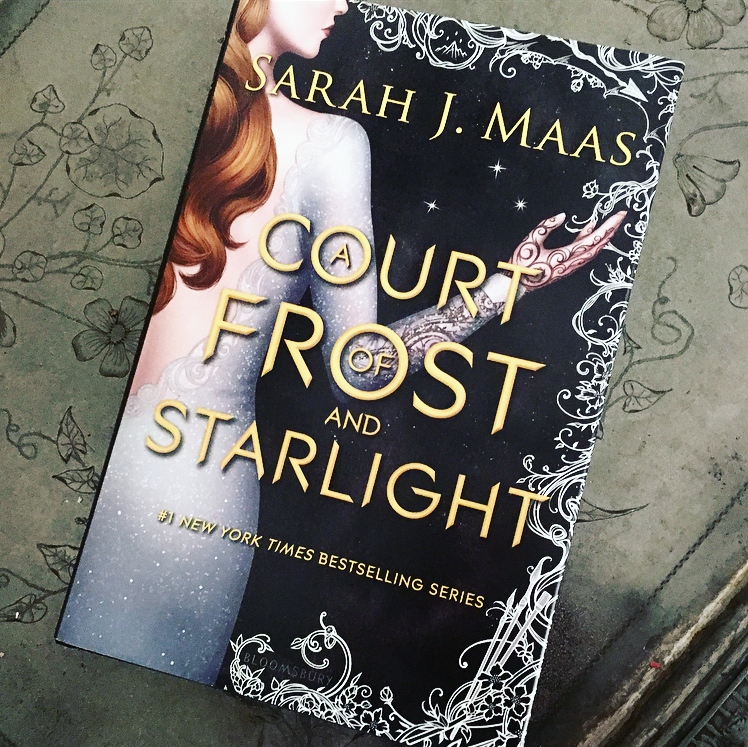 A Court of Frost and Starlight read like an extended epilogue, in my opinion. There isn't a lot of conflict or a big climactic moment, so I'm not shocked to see it's gotten mixed reviews. If you love the series, I think you'll want to read it anyway – and will probably still enjoy it. But if you're growing tired of Rhysand and Feyre, I doubt this will be reignite your love for them since it's primarily wrapping up their story (with one hint about their future). I'm so glad this book exists because I was so happy reading it, but I wouldn't argue that it's necessary. Nice to have? Absolutely! I loved the series of vignettes, the multiple POVs, and the promise of what's to come. I'm so intrigued about where things are headed! I'm anxious to see how everyone processes their trauma from the war, and I'm already anticipating a lot of pain in the journey to healing. TEARS. In addition to the relational conflicts, you can tell there's unrest brewing in the world of the Night Court. It's going to take a lot of work to move forward! As soon as I was done reading it, I wanted to start it all over again. And don't even get me started on that teaser for the next book at the very end! MY HEART CANNOT TAKE IT. I'm giving this book my full So Obsessed With It rating because I loved it that much for what it was. It's not perfect (and I'll forever have reservations over the sexual content in this series), but my heart is in it until the end. But I'm in no rush to get there!